Very cool! 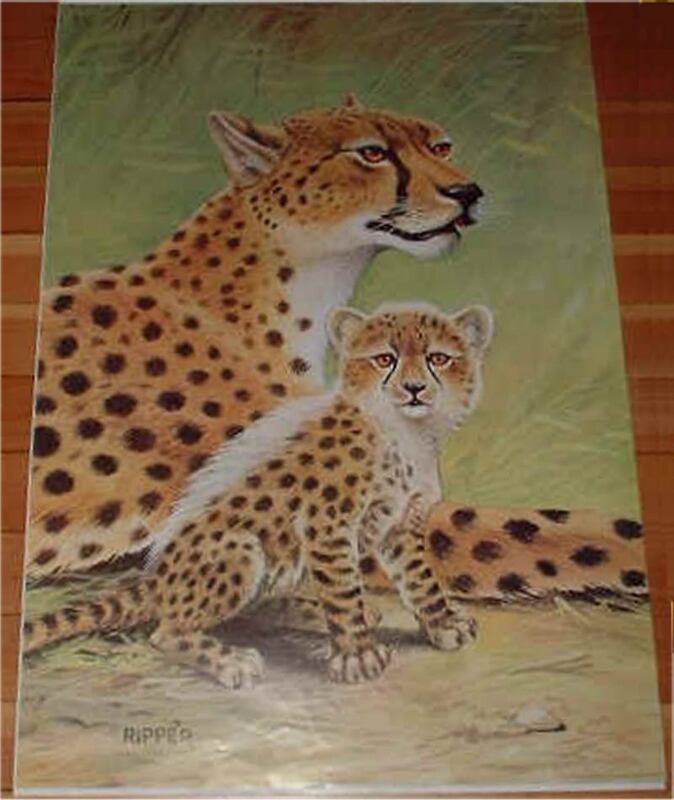 These posters are difficult to come by. 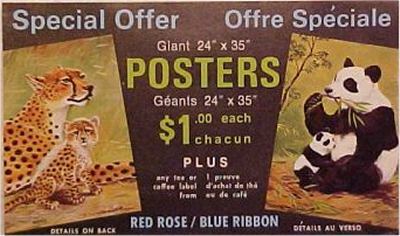 As far as I know, Red Rose issued the series 15 Animal and Young posters first. Here is a coupon that backs it up. 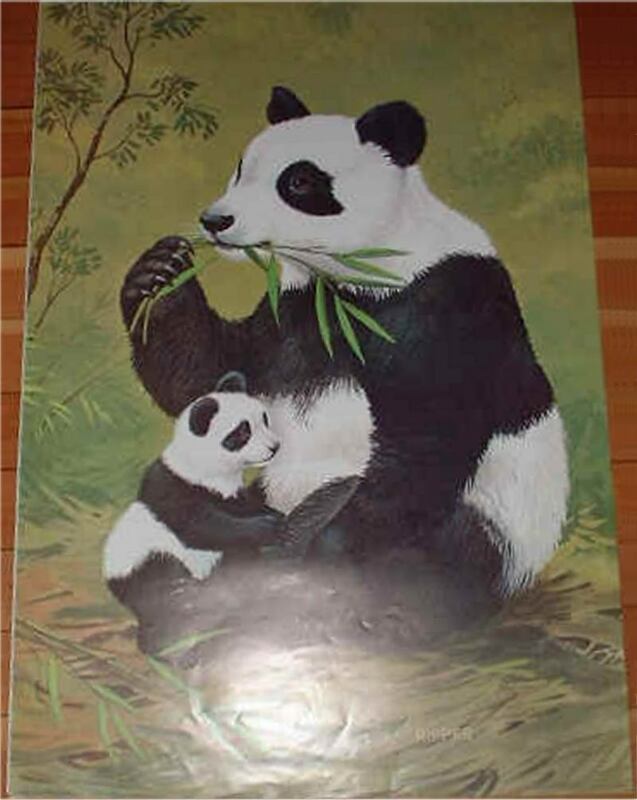 You could get either the cheetahs or the pandas. They were GIANT at 24" by 35". On the back of the coupon you said how many of each and mailed in for it. Some stores also had the posters on site. How do I know that? Well, the promotional posters that were set out to entice the grocery store shopper had the following banner stuck to the top of the display posters. One might deduce that they made more posters than they had requests. 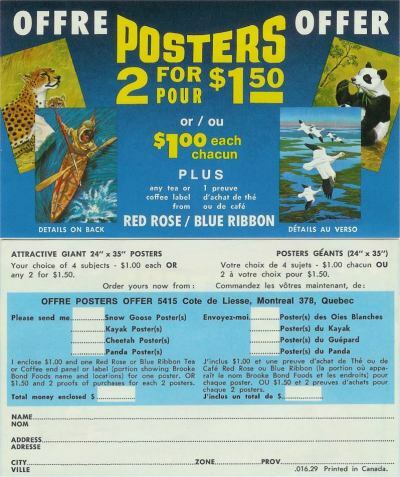 When The Arctic came out, there were enough Animals and Young posters left over to offer them again, in addition to the two Arctic scenes. This time, there was a poster of snow geese and one of an Eskimo. Also note that if you bought 2, you got the second one half-off. What a bargain. Where do I sign up? So what do the posters look like up close? Well, I had only seen the two from series 15. 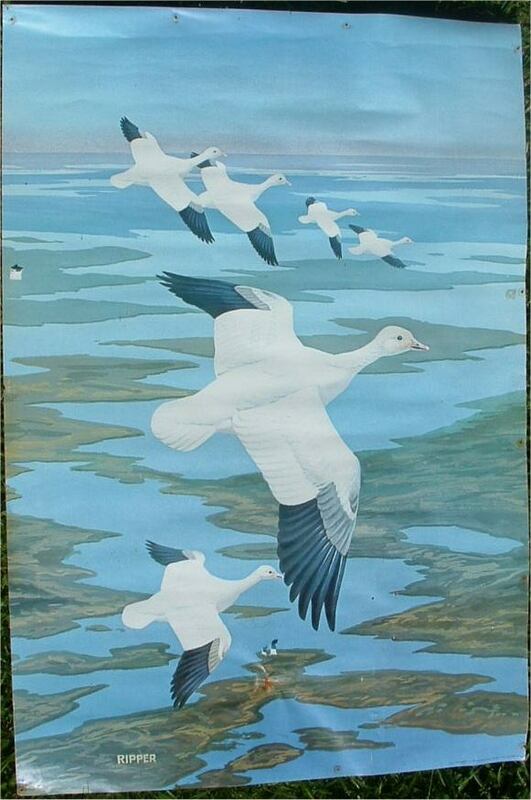 Then Glen Ryan emailed me with pics of the snow goose poster and questions about where it might have come from. Glen knows now that his Dad either picked it up at the local store or mailed away for it. Thanks to Glen for the inspiration to write this page. Thanks again for the scan of the Snow Goose. As Glen says, " It's not bad looking considering that it had been mounted with thumb-tacks for many years in the shed! " I'm with you, Glen! Has anyone seen the Eskimo Kayak poster? Can you get a picture of it for the site?